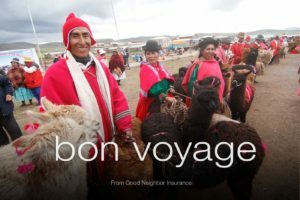 Individual Kidnap and Ransom international insurance option provided by Good Neighbor Insurance – Good Neighbor Insurance wants to highlight to our clients the importance of Kidnap and Ransom international insurance especially in volatile countries such as Venezuela and Turkey. Below is a part of an article from one of our international insurance carriers (Hiscox) that handles Kidnap and Ransom cover options for our corporate clients here at Good Neighbor. We want to show you the importance of having Kidnap and Ransom cover when in certain parts of the world. “Cross-State Police Operation in Brazil Highlights Continued Virtual Kidnapping Threat – Under an operation dubbed ‘ Operation Adrenaline,’ police officers from the states of Sao Paulo and Mato Grosso on 31 January (2017) arrested 12 members of a criminal gang that specialized in virtual kidnapping. The gang targeted victims across eight states (Sao Paulo, Rio de Janeiro, Bahia, Pernambuco, Alagoas, Rio Grande do Sul, Rondonia, Mato Grosso do Sul) and the Federal District. As this operation demonstrates, virtual kidnapping is a widespread issue. A virtual kidnap typically involves an extortionist telephoning an individual, claiming to have abducted a member of their family and demanding a ransom for their release. However, because no one is physically held during a virtual kidnap, extortionists and their target do not need to be located in the same state, allowing the crime to spread. The gang dismantled under ‘Operation Adrenaline’ was able to target victims around the country, despite the fact that the leading gang members operated out of prisons in Mato Grosso state. Hiscox is one of our international insurance that handles employer based Kidnap and Ransom. However, for individual or family kidnap and ransom Good Neighbor Insurance provides another international insurance company that handles this. You may view our web page at https://www.gninsurance.com/kidnap-and-ransom-insurance/ and check out PIU who we work with on our individual and family kidnap and ransom cover. In today’s world, there are extra risk when traveling outside your own country. Nobody knew that Venezuela would be in turmoil today compared to five years ago or that Turkey would have political challenges the last few months. This is why it is important, especially in countries that are experiencing unrest to get this type of coverage for you and your family. You may apply right online via our paper application at https://www.gninsurance.com/petersen-international-kidnap-ransom-insurance/. Please call one of our Good Neighbor Insurance international insurance licensed agents at 866-636-9100 or locally here in Arizona at 480-633-9500 with any questions. You may also reach us via email at info@gninsurance.com.